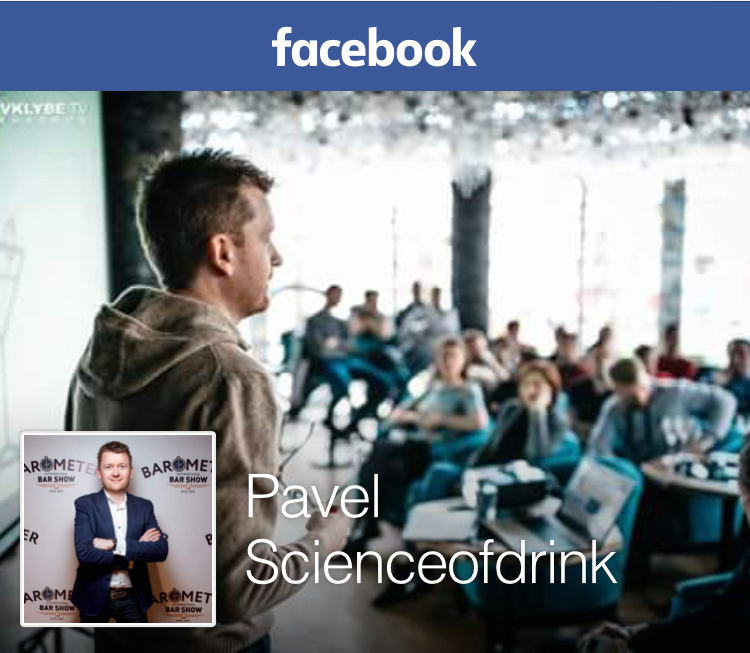 Posted on February 15, 2011 January 3, 2016 by Pavel Y. Well, I feel like putting aside for a while my Manhattan project because some new creative horizons opened before me with the arrival of some samples of whisky which I got from the Master of Malt – a British whisky retailer with 25 year experience and world-wide reputation. 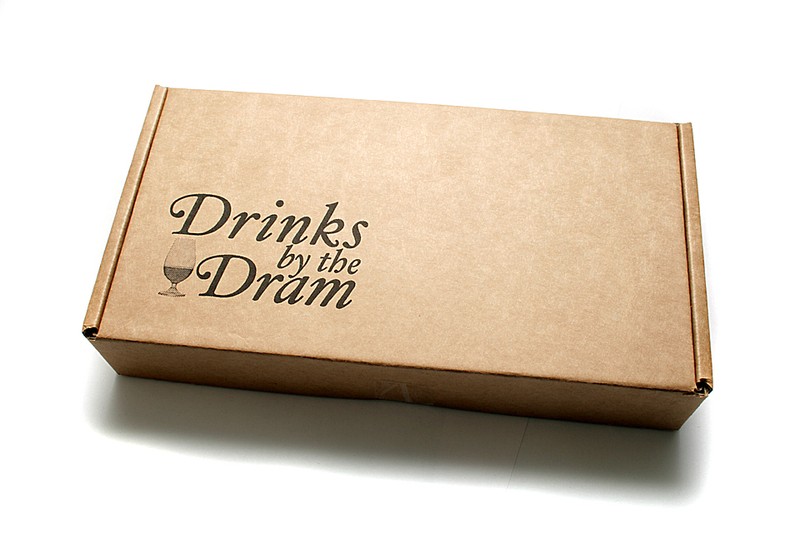 Some time ago they launched an impressive marketing service called Drinks by the Dram. This innovation gave whisky lovers also neophyte alike the opportunity to order and taste 30 ml (about 1 fl. oz) samples of they brilliant stuff – wide range of whisky, whiskey and other interesting spirits. Another remarkable idea – the Master of Malt develop wide range topical dram sets which help us to taste many great whisky from different regions. 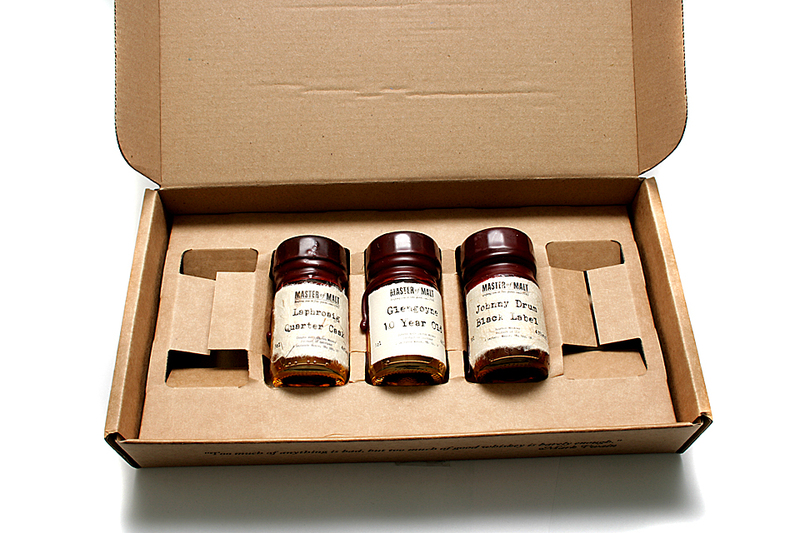 The dram sets are an invaluable present for anyone who has a crush on whisky. You can imagine how exhilarated I was to get the parcel with sample. The Master of Malt gave me a chance to taste three dram of whisky – two Single Malt Whisky (Laphroaig Quarter Cask и Glengoyne 10 Years Old) and one bourbon (Johny Drum Black Label). Usually I write reviews of different spirits in my Encyclopedia of liquor, and it is not an exception. My full reviews of them coming soon! My today’s post is devoted to quite an interesting cocktail which I had been dallying with for quite a long time before I got a proper whisky. 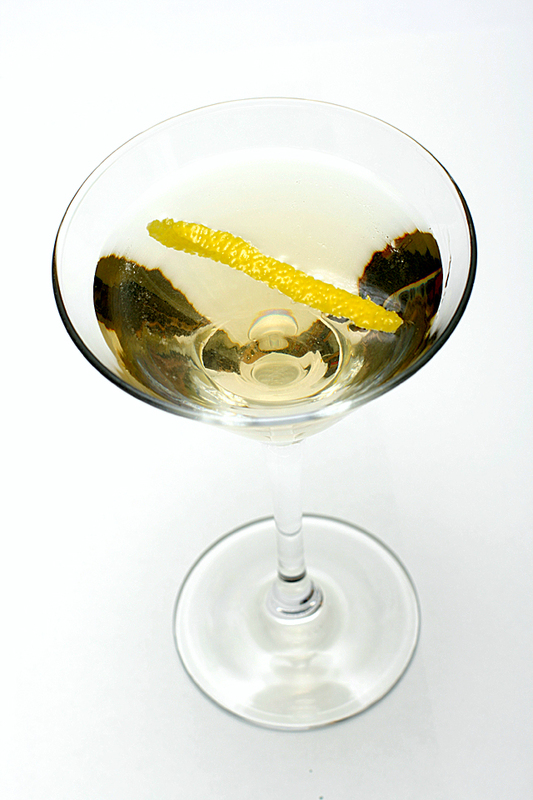 I mean Smoky Martini – a curious variation of Dry Martini with scotch instead of traditional vermouth. The snag is that we should use smoky or peated scotch (like Isle Mist or one of famous single malts such as Laphroaig, Lagavulin or the like). And now I will make a short digression to make a confession that my fascination with whisky is of theoretical nature. It is the cocktail that I am totally, irresistibly and unconditionally in love with. As regards whiskies, I like exploring them as potential ingredients. Besides single malts cost a pretty penny. There is yet another, romantic side to this interest of mine, a sort of ‘my heart’s in the Highlands…’, you know. I fell under the spell of the austere beauty of the wind-swept islands on which a long-standing tradition of distilling whisky has been passed from a generation to generation. Like anything in this world that boasts centuries long tradition whisky has a magnetic pull for me. Stir all ingredients with a lot of ice. Strain into a cocktail glass and garnish with a lemon twist. It is worth mentioning here that Laphroaig is not an expendable ingredient for Smoky Martini. The original recipe calls for blended scotch and you may use it. I have tried the Smoky Martini with different gin and whisky. My first Smoky Martini was mixed with Bombay Sapphire London Dry Gin and Laphroaig Quarter Cask. Wow! Really I was fascinated by the cocktail! 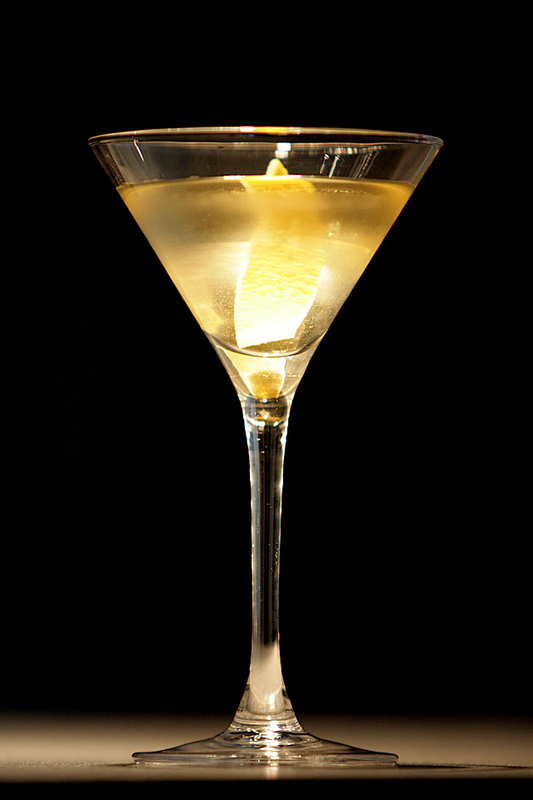 The Smoky Martini has extraordinary dry and smoky taste. The entry is very smooth and oily. The palate is brilliant dry with a great explosion at the end. The finish had a lot of smoke, peat and a campfire smell. Actually the Smoky Martini is one of best variations of Dry Martini that I ever tasted. А почему ДеГрофф и джин??? Нет, с джином попробовать интересно, но а где же водка-виски-перно-лемонтвист??? Не хватило у меня Лафройга на “Богиню”, другим разом, а пока решил с “классики” начать :) Тем более, что DDSM ты ж хорошо проработал, для повтора нужны веские основания. я, конечно, попробую с джином, но уверен, что с водкой и пастис будет совсем другое. Да, лимон с дымным виски хорошо сочетается, причем не кислотой, а терпкостью. И как и всегда с синглмолтами, к каждому нужно аккуратно подбирать пару – джина и прочего. Thank you for bringing this drink to my attention again. I was introduced to it a couple of years ago at a restaurant called Social in Ottawa, Canada. Quite enjoyable, but then I forgot about it. Inspired by your post, I’m in the process of becoming reacquainted with it. Long before I ever started appreciating whiskies, especially Scotch Single Malts, I alway enjoyed a great gin martini made by a good friend of mine. “Secret” ingredient: drop of Scotch, although I think he may have used Vermouth as well. I have often thought about trying this. My favourite gin is Bombay Sapphire, and my favourite Whisky is Laphroaig Quarter Cask. So, 5 parts of Gin to one of Laphroaig! Thank You for reminding me to try this! As a big fan of both martini’s and Laphroaig Quarter Cask, this is something that I’m definitely going to have to try. You’re right that the Laphroaig is not a scotch to casually mix, so I won’t be doing this often, but I’m becoming more and more interested in the idea of using single malts in cocktails. Next PostNext S.I.P. #3 – Manhattan – Sweet! Dry! Perfect?